Molecular characterization of tumors has been critical for identifying important genes in cancer biology and for improving tumor classification and diagnosis. 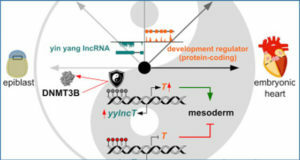 Long non-coding RNAs (lncRNAs), as a new, relatively unstudied class of transcripts, provide a rich opportunity to identify both functional drivers and cancer-type specific biomarkers. 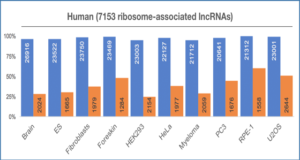 However despite the potential importance of lncRNAs to the cancer field, no comprehensive survey of lncRNA expression across various cancers has been reported. 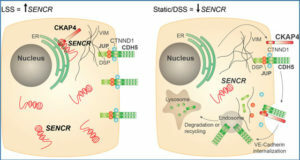 A team led by researchers at Stanford University School of Medicine performed a sequencing-based transcriptional survey of both known lncRNAs and novel intergenic transcripts across a panel of 64 archival tumor samples comprising 17 diagnostic subtypes of adenocarcinomas, squamous cell carcinomas, and sarcomas. They identified hundreds of transcripts from among the known 1,065 lncRNAs surveyed that show variability in transcript levels between the tumor types and therefore make potential biomarker candidates. 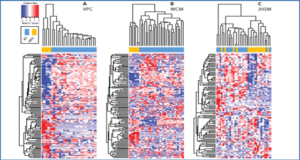 They discovered 1,071 novel intergenic transcribed regions and demonstrate that these show similar patterns of variability between tumor types. 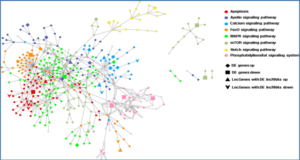 They find that many of these differentially expressed cancer transcripts are also expressed in normal tissues. One such novel transcript specifically expressed in breast tissue was further evaluated using RNA in situ hybridization on a panel of breast tumors and shown to correlate with low tumor grade and estrogen receptor expression, thereby representing a potentially important new breast cancer biomarker. 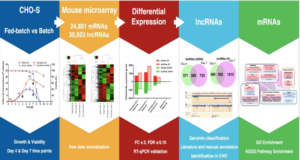 This study provides the first large survey of lncRNA expression within a panel of solid cancers and also identifies a number of novel transcribed regions differentially expressed across distinct cancer types that represent candidate biomarkers for future research.